In recent weeks, our entire nation has been preoccupied with the mysterious disappearance of MH 370. Although, it seems hardly possible to detect any silver lining in this otherwise sad and tragic incident, we finally have some needed reprieve from the continuous and unprecedented barrage of vitriolic hate speech coming from ultra nationalistic groups which was dominating the headlines prior thereto. Before the recent outpouring of good will and solidarity crossing religious and cultural divide, the country had been experienced an episode of polarisation that no one has ever witnessed before. It has left many thinking – where could so much hate, prejudice and of course, fear, come from? What makes us flabbergasted with the claims of these hate-mongers is that they simply defy reason and seem so blind to their own destructiveness. Perhaps, this is why some call this the dance of ideological blindness on the grave of reason. Confusion is understandable but ideological blindness is unforgivable. An ideology is a set of conscious and unconscious ideas that constitute one's goals, expectations, and actions. It provides a comprehensive vision, a way of looking at things. Ideological blindness takes place when we assumed that ours is the only reasonable and possible worldview, thus the need to impose it on others. Ideology dogmatises its worldview and provides it with a divine stamp of approval. Of course, no one ever thinks that they themselves are ideological. It is the other’s guy view of the world that is ideological. This too seems to be problem of the detractors of Jesus in today’s gospel account of the man born blind. The blind man, apart from his physical defect, was also a victim of ideological stereotyping and prejudice. A common mentality of the time, a mentality that was also shared by the disciples of Jesus, was that blindness at birth was the consequence of sins committed by his parents. Jesus, however, rejects this narrow ideological interpretation of his predicament and in answer to the question of his disciples of the possible cause, explains that “he was born blind so that the works of God might be displayed in him.” Here He provides a radical counterpoint to the blindspot of Pharisaic ideology – they fail to recognise the presence and the authority of God. Rather than to focus on the failings and limitations of the man, Jesus helps us to see the amazing Providence of God which transcends cultural, political and social divides. For all appearances, there seems to be an ideological battle raging within the Church today, between those who consider themselves as part of the progressive liberal camp as opposed to the conservative traditionalist camp on the other side of the divide. Liberal progressives often view themselves as closer to the heart of Christ in his treatment of the marginalised. This finds visible expression often in both their views and projects related to gay rights, feminism, liberation theology, option for the poor, and a plethora of other things, including humanising and democratising the bureaucratic Church and ‘tree-hugging.’ Traditionalists, on the other side of the divide, also view themselves as being passionately faithful to the Church. They are easily identifiable by their love for the liturgy, specifically in continuity with the pre-Vatican II form, and are steadfast defenders of the purity of Catholic teachings and practices. 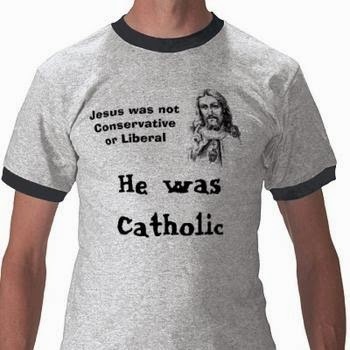 Liberals often consider traditionalists as enemies of the post Vatican II Church, denigrating them as real obstacles to the necessary reforms that must sweep the Church if it is to survive another century. Traditionalists are made out to be eccentric personalities who are ideologically trapped in another era, smitten by the grandeur and power of a monarchical model of the Church, and who act as unwanted Inquisitors, doctrinal and moral gatekeepers of the Church. In their battle with traditionalism, they often confuse traditionalists with any adherence to Tradition. But Tradition isn't an ideology, it's holding fast to everything that has been handed down. Thus, every Catholic should be Traditional! But neither is Tradition a fossilised collection of teachings and practices which belong to a particular bygone era. It inherently possesses a certain organic dynamism which adapts to changing situations and new problems, as long as such reform is in continuity, rather than a rupture, with the past. These labels are of relatively recent vintage. They are hardly helpful and in fact, quite deceptive. Thus the dichotomy between traditionalist and liberals is false. It seems to imply that being simply Catholic isn’t enough – one had to hold a particular ideological stance in order to be Catholic. These labels, as they have been used for decades, have no place in the Church. In fact, ideologies polarise the Church and thus pose a great obstacle to its mission. The irony is that champions of ideological positions often think that they are being faithful to Christ and his Church whilst they are actually blind to their own destructive actions. In the mutual vilification of the opposing camp, both remained blind to the absence of Charity or even God – thus we see a mirror of the proverbial Pharisaic blindspot. The Church’s teachings, as faithfully handed down to us from the Apostles, remain a formidable and dynamic synthesis of the seemingly irreconcilable positions taken by both ideological camps. There is always an element of the universal, but the particular is never sacrificed. The Church’s teachings objectively appeal to reason but are nevertheless subjectively inspiring. The Church and its teachings are always permanent and eternal, and yet always reforming. Christ, both visible and Invisible, is already present in the Eucharistic species and yet we await his final return at the Parousia. The ‘both/and’ characteristic of our Catholicity allows the juxtaposition of both ends of the spectrum, without eroding its central core, Jesus, who is both God and Man. So, what did Jesus bring? He clearly did not bring an agenda and if he did it was not very successful. He did not inaugurate world peace or an end to poverty. What Jesus brought was Himself. He brought God. Against the ideological temptations of our day, the gospel seems to have a simple inoculation. Christ first. Christ who healed the man born blind and the blindness of the world with his revealing Light. Christ found first among the weakest, the poorest and the powerless. That is the truth that every Christian hopes to seek, a truth that spans political and cultural divides, a truth that is worth “propagating” and one that will truly remove the cataracts of any ideological blindness. It looks as if Pope Francis himself has been co-opted into the liberal progressive camp, as his constant emphasis on the love, mercy and compassion of Christ is often given the following interpretation – that he is putting the ‘orthodox’ in their place . In a comedic twist, Pope Francis in a recent in-depth interview published in an Italian newspaper debunked ideological interpretations of him by calling them “the mythology of Pope Francis”. In fact, he found the attempts to paint the Pope as some kind of Superman as downright offensive. This news was published in official Vatican media but the secular media never took it up, for obvious reasons!